The next book to be discussed on our list is No Highway and the obvious location is Farnborough. 11 AM meet at Farnborough airport entrance. 11am - 1 pm guided tour of the Heritage centre by Barry Guess, my contact there. There's lots to see! 1pm to the nearby Monkey Puzzle pub for lunch followed by book discussion. Barry needs to know numbers as soon as possible, so if you can make it please email me by 21st June. It should be a most interesting day. "While discussing Lonely Road, Art told about Joan and he traveling a few years ago to Petersfield south of London. At a restaurant in Petersfield, they were told that a woman who had once lived in that region, had been proposed to for marriage by Nevil Shute. She turned him down. This had to have happened in the late 1920s. Shute must have written Lonely Road soon after that because he married Frances in 1931 and the book was published in 1932. One must believe his feelings with regard to being rejected, must have entered his thoughts when writing Lonely Road. Can anyone comment more on this aspect? " On May 19 the Cape Cod Nevil Shute chapter met in Osterville at Art and Joan's home. Attending were Art, Joan, Sally and Larry. They treated us with banana splits. If you wonder why, you can find the answer in our current read, Lonely Road. So, comment now on either Art's request or banana splits. The techniques used by Shute in telling this story require some attention. He begins with comments from a fictional journal kept by one of the characters in Lonely Road. Once the reader understands this it becomes a very readable, exciting, even lovable and interesting tale. Considering that it was written coming up to 100 years ago makes it even more remarkable. We really devoured it. Thank you Nevil for continuing to amaze us. Some of us were surprised that Shute used Sixpence as a nickname for his girlfriend who charged sixpence for a dance. Nowadays that would not be appropriate. We also commented on the communications of the tug boat with the shore people. It was with a signal light and Morse code. Communications have changed. Next meeting is scheduled for August 18 at on the beach in Brewster. We will read An Old Captivity. We have read and reread Shute many times. Bring a suggestion for a book from another author who we might add to our future meetings alternating with a Shute book and an appropriate substitute. In chapter 3 of 'Lonely Road', Commander Stevenson is discussing with Stenning the rigging on his yacht 'Irene'. commenting "that's rotten reefing gear you've got.....I'll fit you Jersey pattern next time you're fitting out"
Does anyone know exactly what "Jersey pattern" is? It may be a form of roller reefing, but I can't find anything in detail. I was told about “A Town Like Alice” by my father who introduced me to Nevil Shute in the late 1970’s and have not looked back since! My parents had an almost complete set of his novels from the Readers Digest which I now treasure, I have added “Stephen Morris/Pilotage”, “Pied Piper” and “The Seafarers”. The first two in very well read paperbacks and a hardcover of the latter. A couple of things, “Mrs Miniver” was written by Jan Struther and “The Moon is Down” was written by John Steinbeck but the storyline is the same as the lady described. I have ordered “Three Little Ships” off the internet. 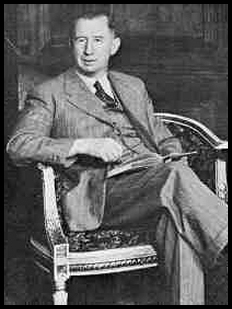 Are there any Nevil Shute societies in the South of England, does anyone know? I start my story in 1952 age 13. On exeat from school one weekend my Father said I have fixed up for you to go gliding. I had my first flight in T21, and the conditions were perfect for a soaring flight of over half an hour. Some weeks later another exeat, no gliding due to bad weather. Have you ever driven a car. I said no, and the gliding instructor let me drive his Alvis Speed 25 around the airfield. So commenced my two life long interests..I have had many fascinating cars but the one I rebuilt and still have after 50 years is my 1929 Lagonda Speed Model. Back to flying, I gained my gliding qualifications at the age of 16 and a year later achieved my Private Pilots Licence in Tiger Moths. Having had my solo check flight in just 3.25 hours. Whilst waiting to join the FAA, I was employed at Airviews at Manchester Ringway airport. We specialized in aerial photography from an Auster with an uprated Lycoming engine , I had several hours in this machine, but the high light was flying their De Haviland Rapide. The company had the contract to fly the Sunday newspapers to the Isle of Man late on Saturday evening. I had done several trips as a loader, when on one occasion the boss said would I like to fly it. He took it off, slid out of the cockpit and I slid in, they are very narrow. I flew the aircraft to Douglas. It’s hard to visualize the drama there would have been had anything gone wrong. It was 1956 I was 17, I had only flown single engined TMs and Austers in VFR conditions by day. Here I was flying a Twin engined commercial aircraft at night without any form of correct licence, but those were the days before health and safety ruled the world. I flew Provosts and Vampires, when a sports injury grounded me. I am able to tell the story whilst sadly many of my Fleet Air Arm contemporaries were killed flying. Later both my wife and I took to gliding, and I also got my licence on hang gliders. But in the early days they were very dangerous and after the death of our instructor I concentrated on sailing, eventually running the Navy’s sailing school in Portsmouth. But that’s another story. Just to mention that I owned one of the Dunkirk little ships, a 42 foot 1928 Silver’s ketch called Brown Owl. Oh I was a Navy diver as well. My wife says my life has been one long holiday, perhaps she’s right. Hope this might be of interest. Please edit as you think fit or I can expand it if you need more of my activities. I played rugby until I was 43. Now that was silly and my joints are now in very poor condition. FROM THE EDITOR From the Netherlands where the weather is still lovely and warm. See you all next month.